I did a little prep for the first few scenarios in Rangers of Shadow Deep. I'd like to give it a try soon. With another player (or two) if I can manage that somehow, or solo if not. 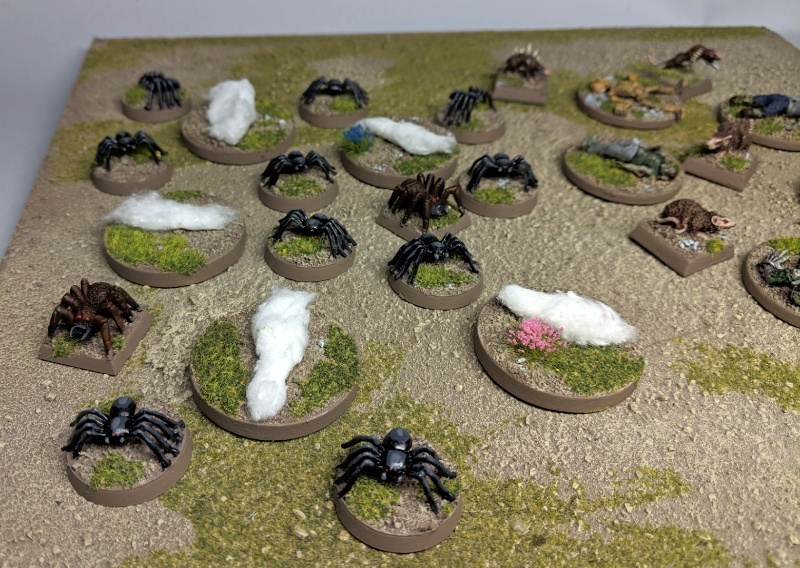 Spiders (mostly repainted & based cheap Halloween toys), web markers, corpse markers, and I touched up some half painted rats from my Skaevn days. 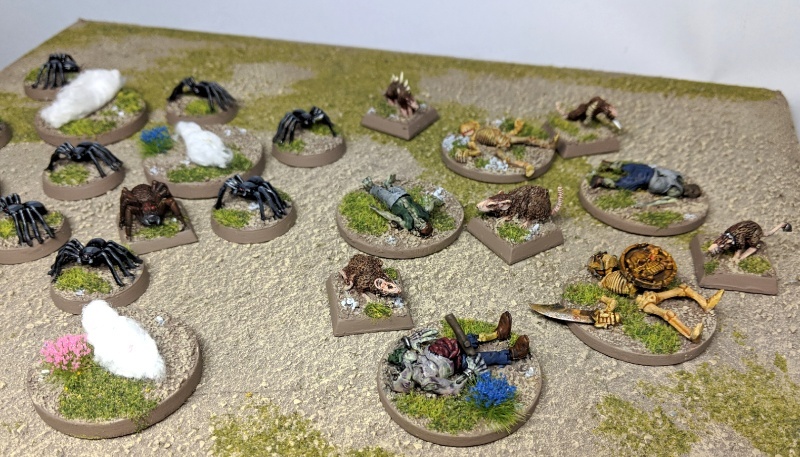 Just a few more things to prep... a few zombies and a couple small terrain pieces/markers.